Theodor Seuss Geisel, more affectionately known as Dr. Seuss, was born on March 2, 1904. According to one biography, it was The Cat in the Hat, written as a children’s primer containing 220 vocabulary words, that made Dr. Seuss a household name. But like most authors, Seuss had his fair share of trial and tribulation–his first book, And to Think That I Saw It on Mulberry Street, was rejected 27 times before finally being published. 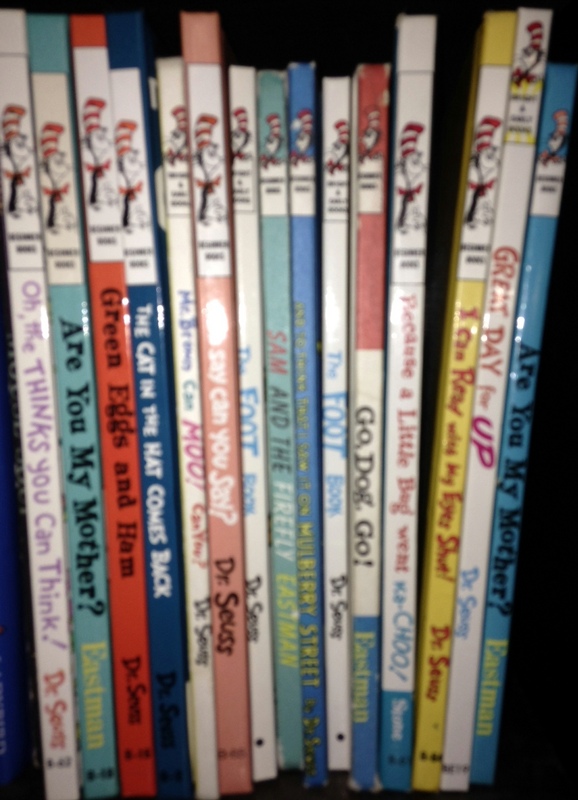 Even though my son and daughter are well into adulthood, the bookshelves in my house still contain dozens of Seuss books. The books hold such wonderful memories of the days when my kids and I would just “sit and read” for hours on end, with me reading aloud one Seuss story after another and often times rereading the favorites again and again. Eventually, first my son and then my daughter read the stories to me. And then finally the books sat more or less unopened as my kids moved on to other things. I didn’t give it a second thought; it seemed like a natural progression. Strange thing with the Seuss books though is that we have had occasions to return to them. When the “Grinch” movie came out, my kids wanted to review the story as presented in the book. When social and environmental issues were discussed in school, Horton Hears a Who!, The Lorax, and The Sneetches seemed to take on new meaning. Of special significance to my whole family is Green Eggs and Ham, which we all read again when my daughter landed the role of Sam I Am in her school’s adaptation of Seussical the Musical. How appropriate that the last book Dr. Seuss worked on bridged the gap between young and old(er). Oh, The Places You’ll Go! reflects a message of both wisdom and motivation and is a treasure for every high school and college graduate and anyone else who hasn’t read it. Happy Birthday, Dr. Seuss, and thank you for your timeless masterpieces that have far-reaching appeal for the young and the not-so-young who are wise enough to want to hear the messages you reveal through laughter, silliness, and captivating illustrations. Note: This is an update to a post made March 2, 2015. Nice article! She looks adorable! From:”Belleyre Books” Date:Thu, Mar 2, 2017 at 6:06 PM Subject:[New post] Happy Birthday, Dr. Seuss!